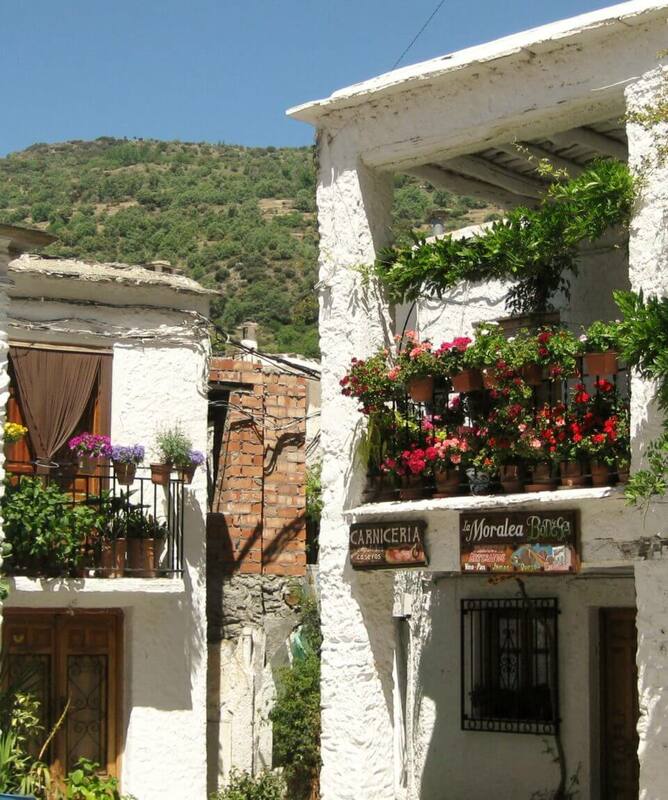 The Las Alpujarras in Andalucia, Spain is the place of the ‘Moors’ last stand. The whole of the national park of the Sierra Nevada is still rich with their legacy. You can see it in the architecture, the food and most of all the scenery. They have carved terraces out of the hillsides, creating amazing landscapes and irrigated the land using waterways, making lush valleys still used for agriculture today. 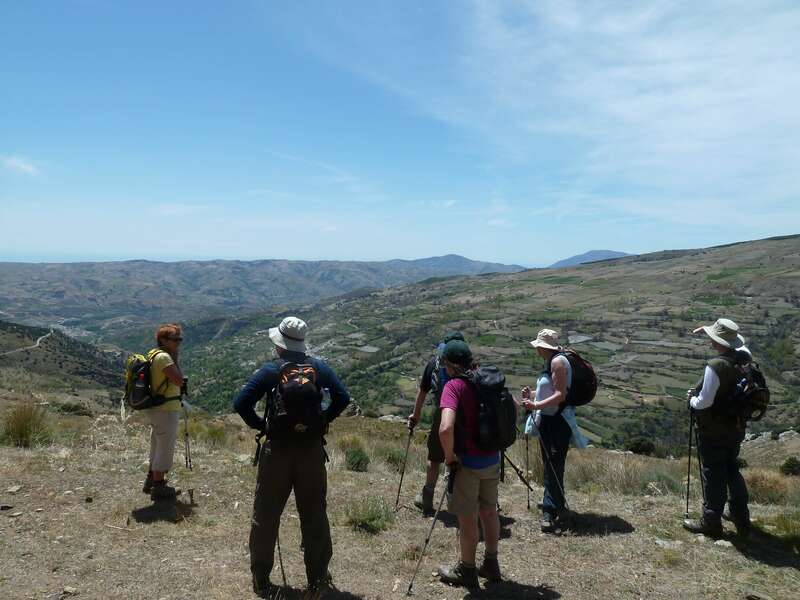 Our most popular holiday in the Sierra Nevada, this medium level walking holiday has been created for walkers who want to walk that little bit longer and also do some high level walks. 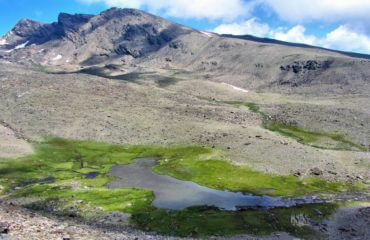 The itinerary includes Siete Lagunas (2900 m) and the Berchules circuit walk. We spend two nights in each hotel with one circular walk and then a linear walk to the next hotel. There is free day and the opportunity to go to Granada and the Alhambra. 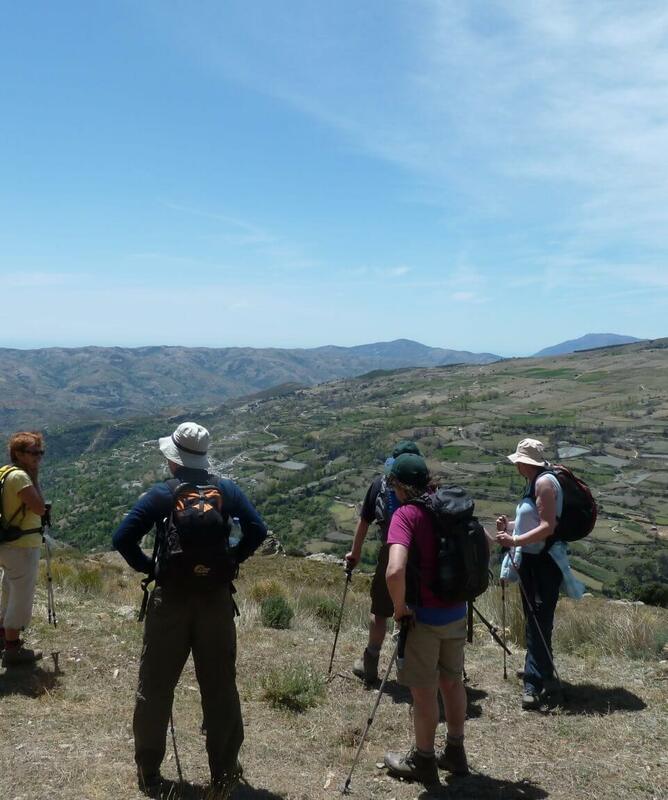 All about the Walking Las Alpujarras & The Sierra Nevada. 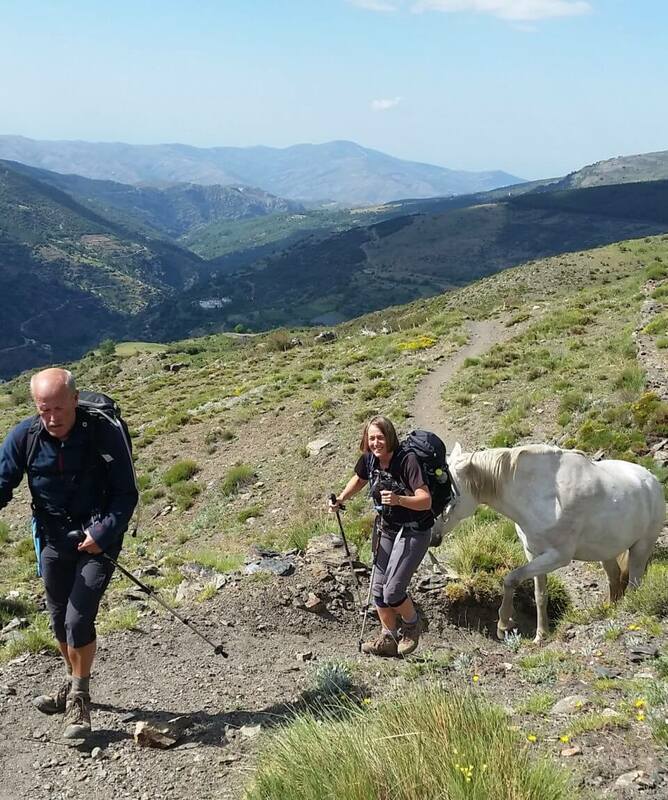 A 7 night walking holiday based in the beautiful Sierra Nevada National Park and the heavily arabic influenced Las Alpujarras. 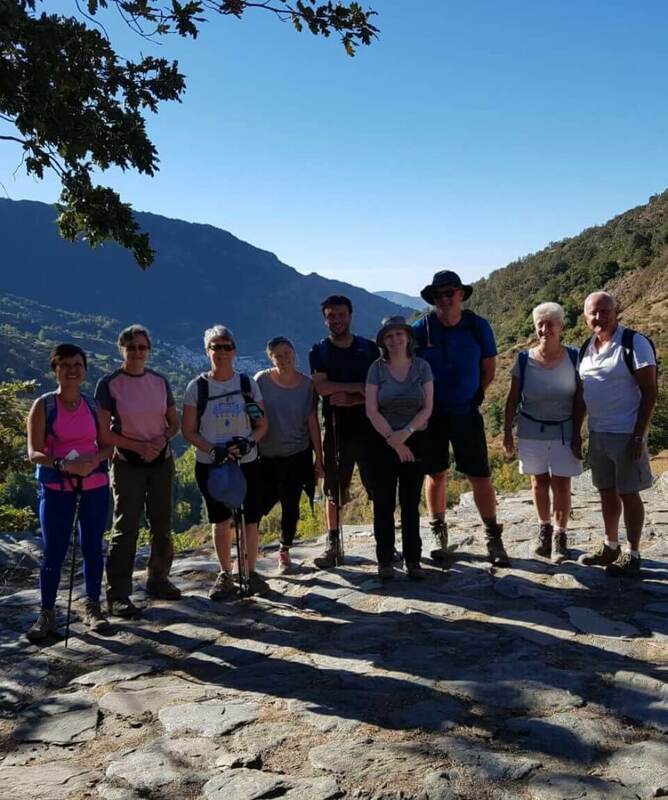 We start high in the Poqueira Gorge in Capileira for 2 nights before walking East to Trevelez and the famous ‘jamon’ town. 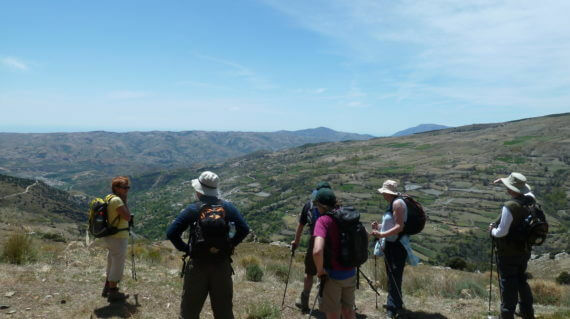 Here we spend a few nights before we walk down into the more mediterranean valleys of the Alpujarras. 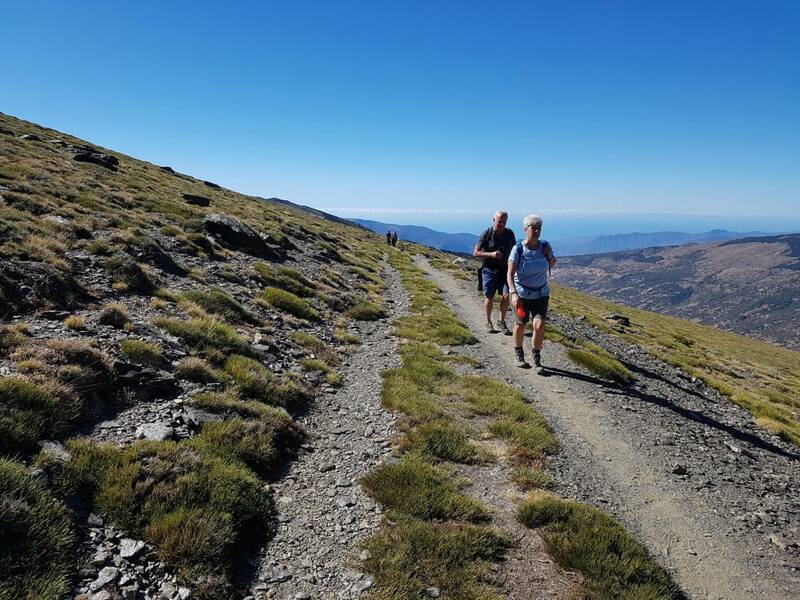 Our most popular holiday in the Sierra Nevada, this medium level walking holiday has been created for walkers who want to walk that little bit longer and also do some high level walks. 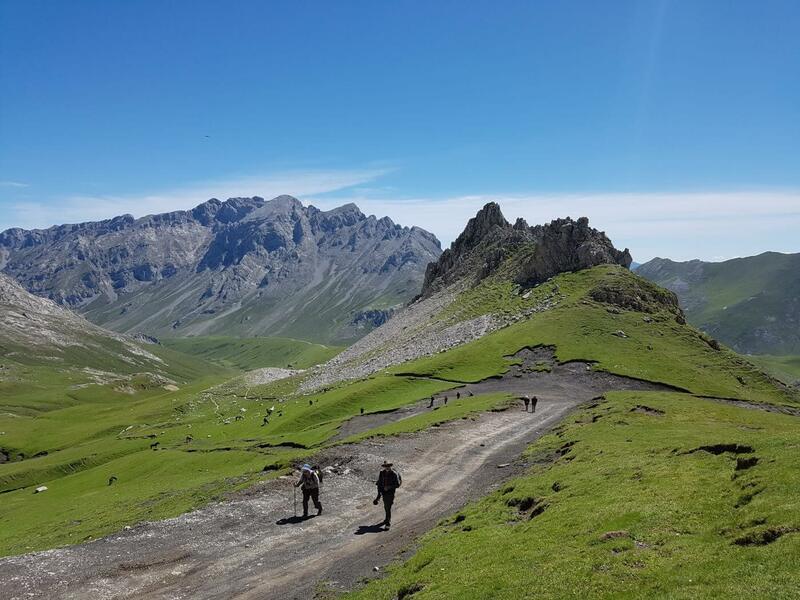 We will walk for around 6 -8 hours a day with plenty of stops to appreciate the stunning scenery. 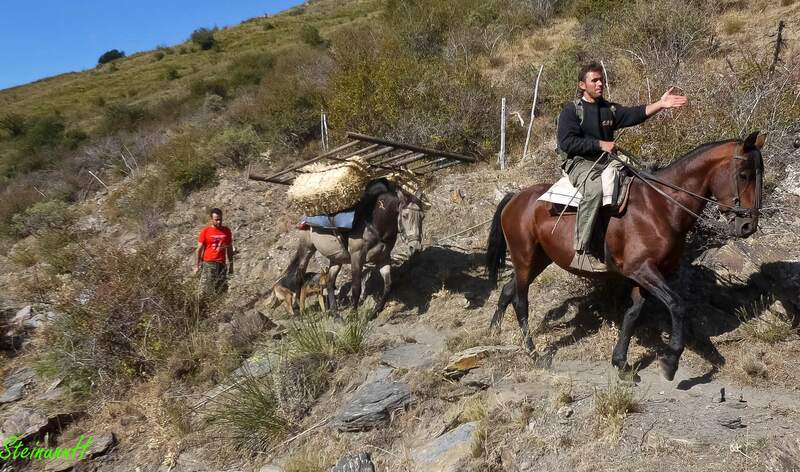 The paths are mostly good underfoot, there are some steep ascents and descents but nothing most people can not do. Staying in local family run hotels(2* or 3*) and eating in good restaurants. Lunches will be a mixture of eating in bars or a picnic lunch. 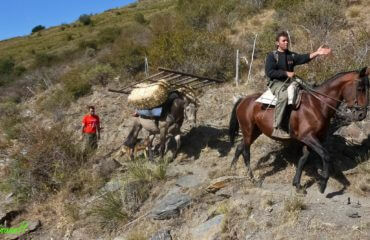 Meet at Malaga airport and leave for Capileira at 14.00hrs. Evening meal in Hotel Finca Los Llanos. 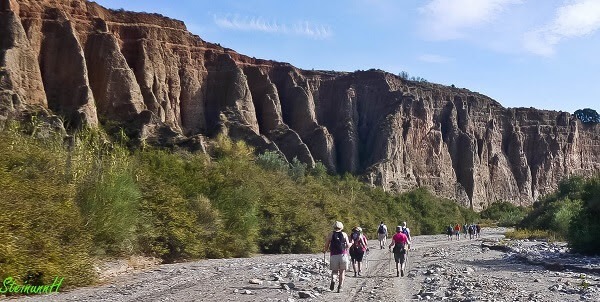 We will walk from the hotel and descend to the river below Capileira and carry on down the river to the lowest of the villages, Pampaniera. Lunch in a bar here before we follow the Gr7 up to Bubion before carrying back to Capileira. 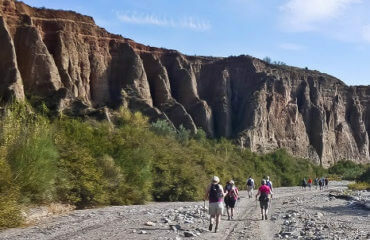 Walking from the hotel we walk from the Poqueira Gorge over to la Taha and on into the rio Trevelez valley. 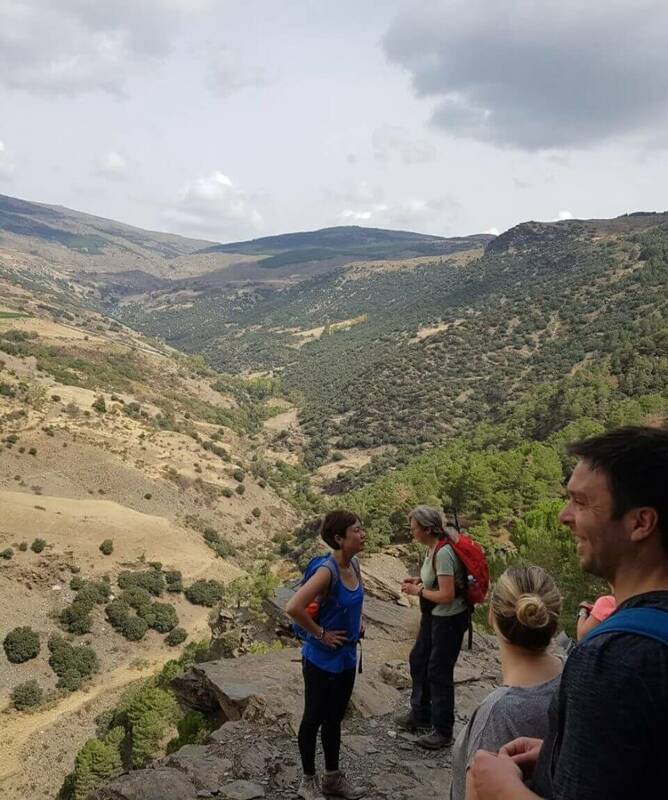 Taking in the beautiful views of the Sierra Nevada behind us and the Contraviesa in front. 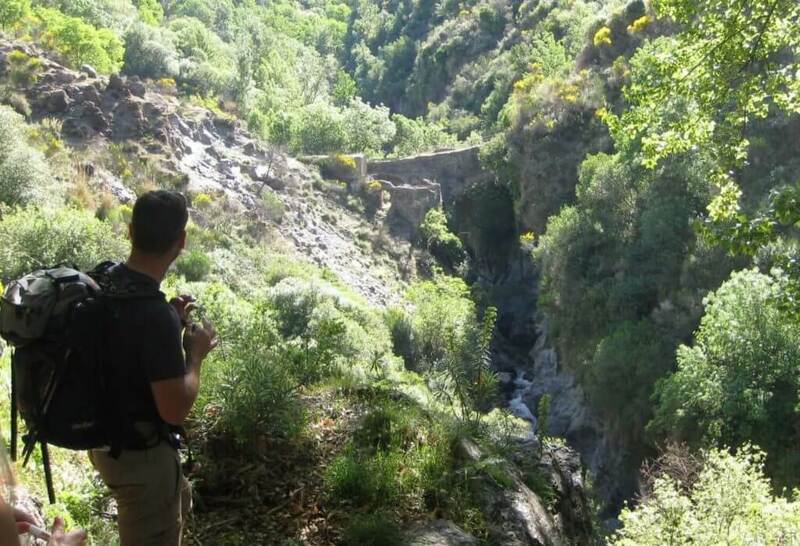 We walk through varying landscapes before finally coming to Trevelez. 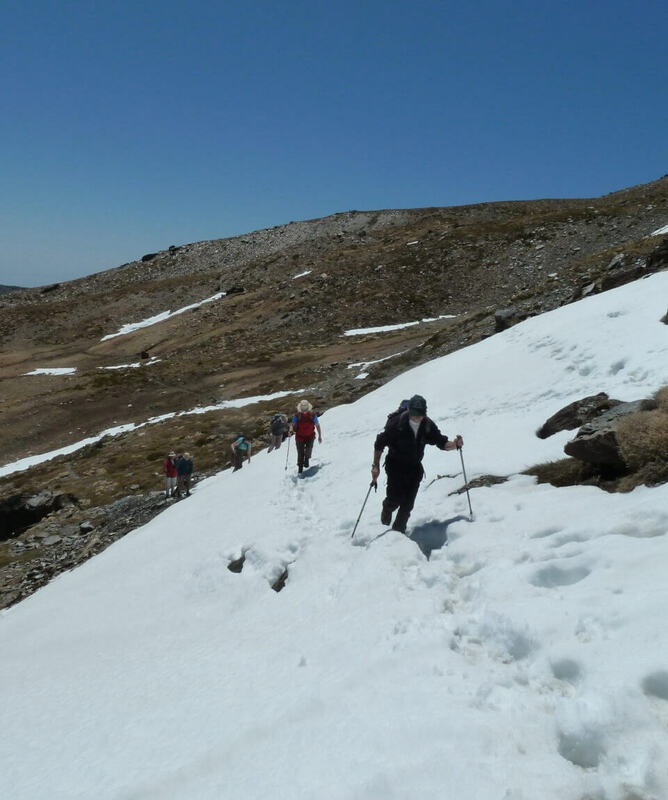 A high mountain walk using the track that goes to Mulhacen (the highest peak in mainland Spain). A hard but thoroughly rewarding walk, with great views and an amazing sense of wilderness. 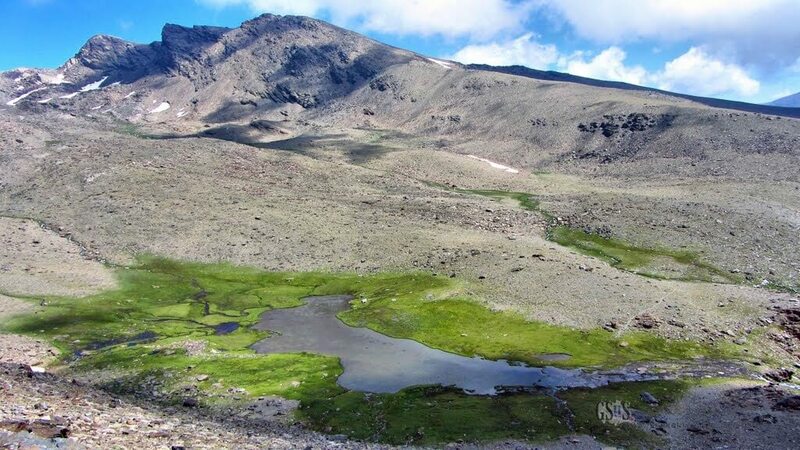 The Siete Lagunas is the glaciation cirque defined by Loma del Mulhacen and the Alcazaba. Free Day Or Trip to Granada and the Alhambra(50 Euro per person min 2 people) A visit to the Alambra and then to the moorísh baths for pampering, if you wish(30 Euro extra) or just some free time in the historic city of Granada, eating, drinking and shopping. 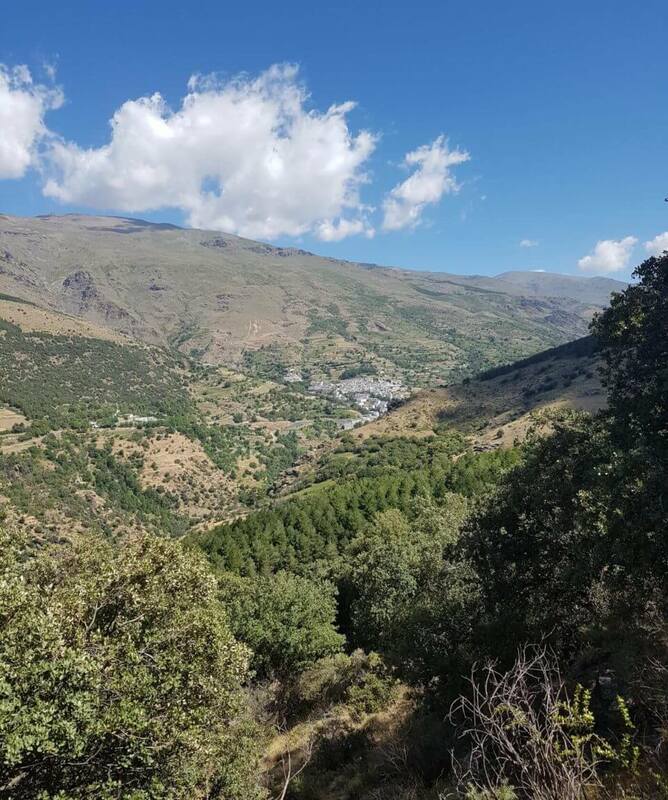 A great walk from Trevelez all the way down into the Cadiar Valley, walking through Juviles, Timar and Lobras before finally coming to the beautiful hotel of Alquiera de Morayma. Our base for the next two nights. 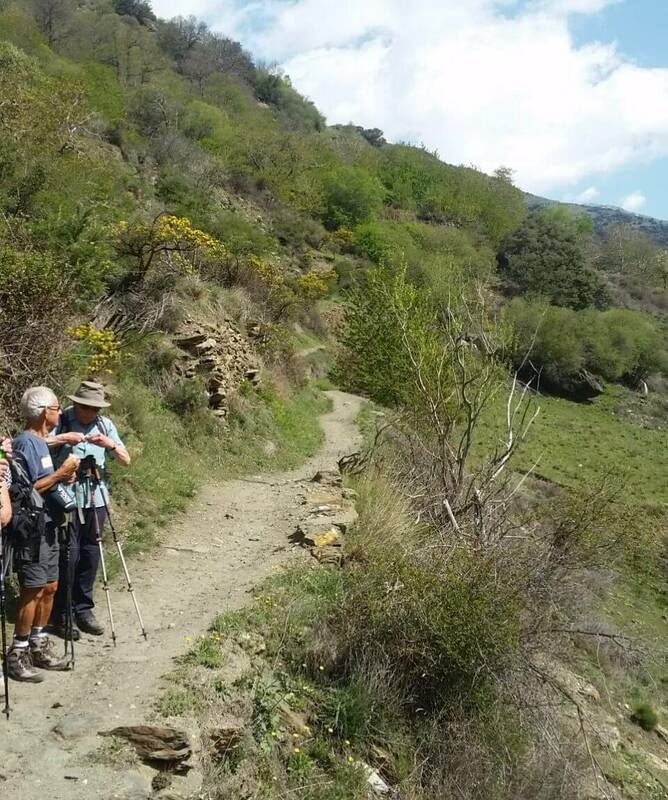 A great walk taking in another valley that sweeps down from the Sierra Nevada. Walking to the moors last stand and then on and up, climbing through a cool pine forest. 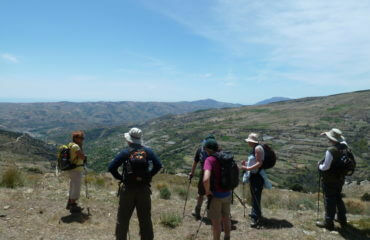 Before coming out for great views of the Las Alpujarras below. 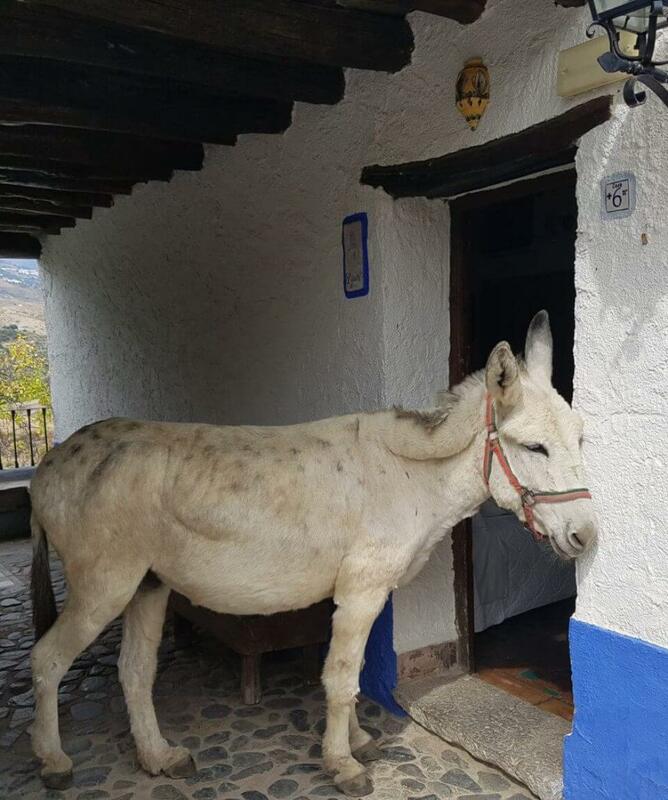 A charming family run hotel in the lovely village of Capilerira. Rooms are large and all en-suite. There is a swimming pool open most of the year. Wi-fi in all the rooms. Evening meals in the restaurant. If busy it will be a good hot buffet. 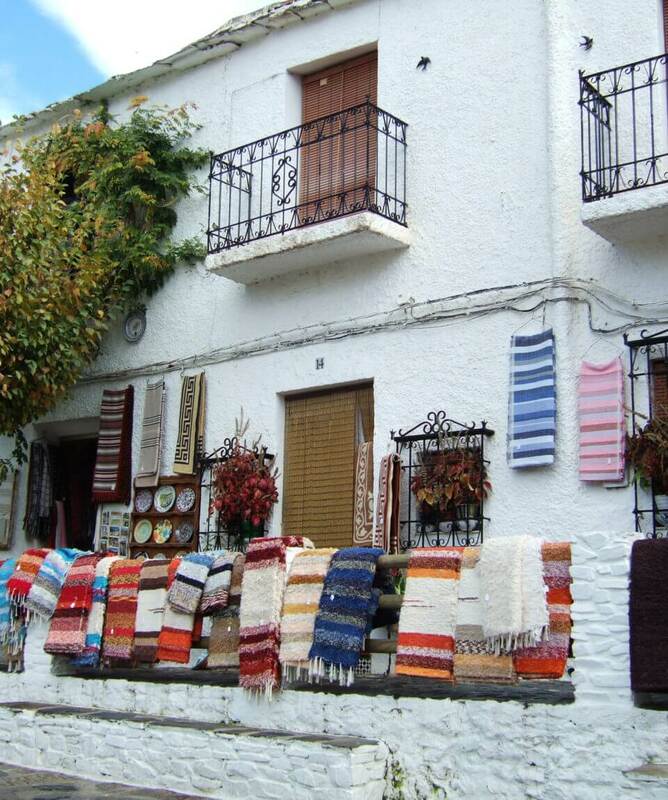 Situated in the top barrio of Trevelez. They have two hotels and an excellent restaurant in the middle of them. Good sized comfortable en-suite rooms with wifi. Small swimming pool available May – Sept. If you would like to have your own room, there is a 120 Euro surcharge. What should I bring?What insurance do I need?How do I get to the Sierra Nevada?Can I come on my own?What is the group size?Do I need to walk everyday?Do you ever cancel weeks?Is my diet catered for? How do I get to the Sierra Nevada? Is my diet catered for? All our guided itineraries have airport transfers included. We recommend Malaga to fly into and contact us and we will discuss with you the pick up options available.